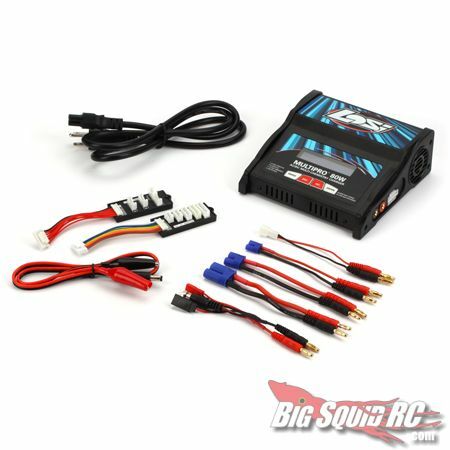 Losi Multipro 80W AC/DC Multi-chemistry Charger « Big Squid RC – RC Car and Truck News, Reviews, Videos, and More! 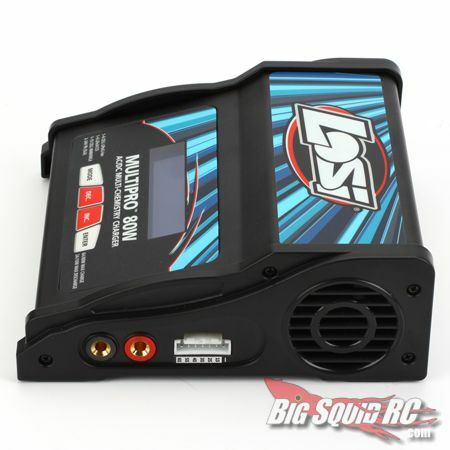 Losi has had their own line of NiMH and LiPo batteries for quite a while now, but they’ve been missing their own way to fill them up with go juice. Well, they’ve finally rectified that problem with the new Multipro 80w AC/DC Multi-chemistry charger. This new charger appears to pack all kinds of great features for charging NiMH, various Lithium, and Lead Acid batteries. It also has a built in LiPo balancer, optional thermal probe for temp based charge detection, a 10w discharger, and up to 3C charge rates. 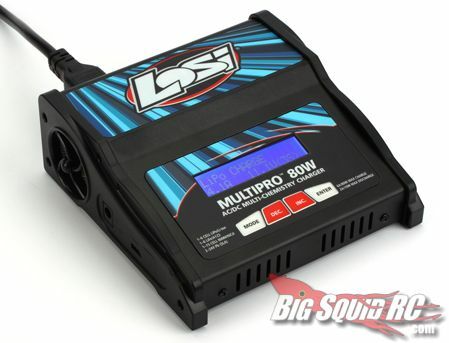 MSRP for the Losi Multipro is $199.99 and it should be hitting hobby shop shelves around the middle of June. Check the Losi website for more info.